Few personalities in the music industry have had a career as productive as Oscar Mdlongwa. Lerato Mogoatle meets the prolific producer who was there when kwaito was born. 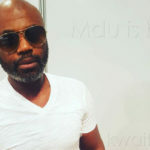 After 10 years in a notoriously fickle industry, Oscar Mdlongwa, the record label boss, music producer, recording artist, club and radio DJ, and the man who’s label, Kalawa Jazmee, launched Bongo Maffin, Alaska, Boom Shaka, Brothers Of Peace (B.O.P) and Trompies, is still on top of his game. His artists took kwaito from its beginnings as a musical phase, to its maturity as a genre. Oskido, as he’s known in the industry, is still music’s hottest property. His most recent achievement may have been to turn Mafikizolo into an Afro-pop sensation, but his label’s other recording artists: Thebe, Bongo Maffin, B.O.P and Trompies are also still playing at the top of their league. Mdlongwa has also dominated the local house music scene, and his compilation albums, the Oskido Church Grooves series, now in its sixth edition (aptly titled Sixth Commandment) have kept him in demand as a club DJ. “I work hard,” Mdlongwa says, inadvertently proving true the urban legend that his preferred hang out is the Kalawa Jazmee studio, situated in his home in the northern suburbs. Oskido nurtured his talent in Joburg’s clubs in the early 90s. The legend of Oskido began with him passing his days as an apprentice motor mechanic; a man more interested in car sound systems than in their engines. 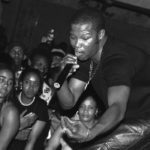 A few months later, Mdlongwa’s boss instructed him to pursue a career in music. This preparation set Oskido up for his first break. “The DJ did not pitch up one night so I played in his place.” He became the club’s resident DJ and found himself in the thick of Jozi nightlife. And as legends go, it was just a matter of time before this former apprentice found his kwaito goldmine: Boom Shaka. Mdlongwa met the kwaito band that would launch is career as a producer at Club Arena. Around the same time, the aspirant music producer met musician, Don Laka. They lived in the same block of flats and had heard about each other. And, wanting to make a meal out of this new kind of musical dish called kwaito, Laka, Mdlongwa and Trompies formed Kalawa Jazmee, with Boom Shaka as their first act. Boom Shaka, a foursome which comprised Lebo Mathosa, Thembi Seete, Junior Sokhela and Theo Nhlengethwa, released their first album in 1993, featuring It’s About Time. There is no denying that Kalawa made kwaito. All their earlier albums – Thebe’s Tempy Life and Tempy Pusher, B.O.P’s King of Kwaito uya Gawula and Traffic Cop, and Trompies’ Sigiya Nge Ngoma and Madibuseng – are now kwaito classics. All were produced by the stable’s producers, some of whom are also board members at Kalawa, including Bruce Sebitlo and Mandla Mofokeng. The stable makes music so hot, even their one-hit-wonders, such as The Skizo Project, came up with a genre-defining classic, Tshasa. “Kalawa finds talent with a unique sound and nurtures it,” says Mdlongwa. This approach has made for some very happy summers, getting down to hits like Thobela, Phily, Ibize eMoyeni, Magasman, Accused, Makeba, O Kae Molao, Lotto and Mare ye Pepa – just a few of Kalawa’s hot songs which have emerged since Boom Shaka’s It’s About Time. Further proof of the label’s, and Mdlongwa’s, success is Mafikizolo, now one of the most popular local bands, went from a lukewarm debut with their self-titled album to a sizzling career re-invention with Sibongile, which featured Ndi Hamba Nawe and Marabi. Thebe and Trompies are still big, while their peers, such as Mawillies, Doc Shebeleza, Mdu and Arthur Mafokate have not maintained the creative power that marked their earlier years in kwaito. As a performer himself, Mdlongwa has worked at turning Oskido into a brand. Like all truly great brands, his was not launched – it just was. He turned his hustle into a business and kwaito’s explosion into a moneymaking legacy. He did not create the need for kwaito, but he fed the demand for it by producing hit upon hit. When kwaito moved to radio, as the sound and attitude that launched YFM in 1997, Oskido was there. And he’s still hosting Oskido’s Church on the youth station on Saturdays between 15:00 and 18:00. “There is a lot of money to be made in music. But some artists are happy living from album to album, then baya khala (they cry) when they have no money. Not every album you make will be a hit,” he says, adding that he is a multi-tasker because he knows the sound of opportunity knocking. Asked about a turning point in his musical life, Oskido identifies it as the Zabalaza: Project B album by B.O.P, which he produced with Sebitlo. The two remixed Mahlathini’s Pitseng tse Kgolo into Melodi. The company is entering its next phase. Their All Stars are established, other labels are out scouting for talent and the sound of youth music has diversified. Mdlongwa and company plan to stay on top by “finding talent from everywhere in South Africa.” Starting with Tira and Sox, Durban’s Finest, in 2004. They’ve also just released their new female ‘find’, Zonke’s debut album, Love, Life and Music as well as managing another woman on the decks, DJ Zinhle, and an Afro-pop band called Candiness. They are even working on a Winnie Khumalo comeback. Khumalo had a bubble gum hit back when Mdlongwa was still dreaming of being in the music industry. Making a legitimate artist out of her is going to be a challenge. As will be the unveiling of Unathi Nkayi. B.O.P are also working on a new album. Kwaito’s origins are fuzzy, as is opinion on who exactly can lay claim to the title, King of Kwaito. The publicly accepted version of the birth of kwaito never mentions Mdlongwa’s name. It could be because he began in the background. But the rise and rise of kwaito would never have happened without him. In the beginning, like everyone else, he climbed on the bandwagon and, like his peers, he wore different creative hats. But, unlike most, the value of his name in the industry has never depreciated. Mdlongwa has never faced oblivion, nor has he had to rely on gimmicks instead of creativity. Yes, when Boom Shaka launched, Lebo and Thembi Seete looked like ekasi imitations of dancehall queens. But that was the only marketing stunt used by Kalawa. Artists have been selling on nothing but the strength of their work. Now would be a good time for everyone connected to the music industry to hand him his due: awards.